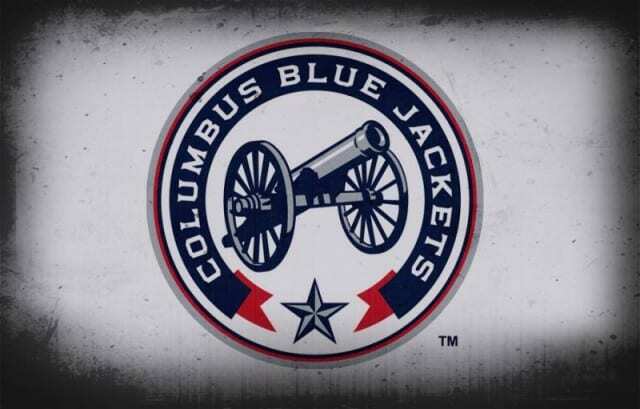 Since joining the NHL as an expansion franchise, Columbus has not had a lot of success. Though they have done a very good job of drafting and developing players, which is evident in the AHL affiliate Lake Erie claiming a Calder Cup Championship. The Jackets have plenty of talented prospects which I will get into below, but there are also several prominent players that recently graduated already playing on the big club. Alex Wennberg, Boone Jenner, Seth Jones, Brandon Saad and Ryan Murray are just a few. With the core of the team being so young, the outlook in Columbus is very positive. Columbus raised some eyebrows at the draft when they selected Dubois over the consensus third ranked player Jesse Puljujarvi. Having traded their, would be franchise center Ryan Johansen to Nashville for Seth Jones, the team favoured the center over winger, so Dubois over Puljujarvi. In Dubois they may have their franchise center as he has size, excellent first step acceleration and a high end top gear. He has good offensive skill and instincts and is equally adept at setting up or finishing goals. He can play a two-way game and could be ready to play in the NHL soon. Expect Dubois to compete for a NHL spot in training camp, but likely has one more year of junior before he makes the jump. After dominating in his junior year in the NCAA, Werenski turned pro and played the final seven regular season games in the AHL with Lake Erie. His debut was good but not overly impressive; until the post season. As the playoffs wore on Werenski stepped into a prominent role and was a key member of the teams Calder Cup Championship. Werenski projects to be the future number one defenceman, logging big minutes and driving the offence and transition from the back end. Werenski has shown he is ready to play at the NHL level and could make the team straight out of training camp. He is an early Calder candidate. Credit the Blue Jackets for drafting and developing a first round talent out of the third round of the ’13 draft. Bjorkstrand has been slowly but steadily developing, and finished strong last season scoring eight points in 12 NHL games after being called up. Columbus failed to make the playoffs and Bjorkstrand was assigned to Lake Erie for their playoff run. He ended up leading the playoffs in scoring with 10 goals in 17 games, and third overall with 16 points. With only one year of pro hockey under his belt in North America, Bjorkstrand is poised to make an impact as a rookie in the NHL now. Milano made his pro debut and addressed any concerns that his speed and offence would translate at the next level by scoring 14 goals and 31 points. He then posting another four goals and eight points in the post season. Milano played well enough to garner an NHL audition and played his first three games recording one point. Milano has plenty of speed and skill. He has excellent hands and has added size and strength since his draft. Milano will get a chance to crack the opening night roster, but likely will be a call up after an injury during the season. Carlsson is a big stay at home defensive defenceman. He may not have a high offensive ceiling, but as a 19-year-old playing against men in the SHL, he managed to score nine points in 45 games as a rookie. He has good mobility and gap control with a long reach. He can play a physical game and will play big minutes. Carlsson can make a good first pass out of the zone, but tends not to carry the puck. Carlsson will play at least another year in the SHL before making the move to North America. Once he comes he could use a year of development in the AHL adjusting his game before making a bid for a NHL roster spot. The big power forward scored 21 points in 25 games before being shut down for the season with a hip injury that required surgery. Bittner will be ready for the start of the 2016-17 season and will make start his pro career as a rookie in the AHL with Cleveland. Missing most of the year could hurt his development and his offensive upside may not project to a top six role in the NHL, but he has enough skill to play in the NHL and has great physical presence. He could develop into a formidable third line checking forward with offensive upside in time. Because of injuries to NHL goalies Sergei Bobrovsky and Curtis McElhinney simultaneously, Korpisalo was thrown into the net for trial by fire. He started in 31 games and ended with 16 wins on a non-playoff team posting a 2.6 GAA and a .920 save %. He is a tall goalie who can leave little up high for shooters to look at while on his knees. He is athletic as well, with quick feet and moves well laterally making second and third saves. Korpisalo showed capable of playing in the NHL in his first year in North America and is expected to usurp McElhinney as the backup to Bobrovsky. Columbus scouts found a gem with Forsberg in the seventh round. He has struggled in his NHL games posting one win in nine games and a 4.02 GAA and .882 save%. Those are some ugly numbers to be sure, but his AHL numbers are far more impressive. When Korpisalo stumbled in the AHL playoffs, Forsberg stepped in and stole the crease, back stopping Lake Erie to a Calder Cup with a 1.34 GAA and .949 save%. He obviously needs to find some consistency and improve in his next opportunity in the NHL. For now, he looks to be the starter for Cleveland in the AHL this year. Anderson is a rugged and versatile forward. He will play in the NHL, but in a bottom six role. His AHL game has found consistency and he posted 18 goals and 39 points in 58 games along with 108 penalty minutes. His play there earned him three NHL call ups for a total of 12 games and he scored his first career goal and four points. Anderson has continually improved since his draft year, both in junior and in the minors and is a prospect on the rise. Abramov is an undersized and highly skilled forward who posted impressive numbers in his rookie season in North America with 93 points in 63 games in Gatineau. Abramov is very shifty and has a variety of moves, toe drags and dangles, which he can do at top speed. The question is of course can he compensate for his size. Abramov desperately needs to bulk up and add some weight and strength to his 5-9 frame to compete at the pro level. Abramov will head back to Gatineau where he could lead the league in scoring. A long term project but his skill level could make him a top six player in the future.